Mega Star Chiranjeevi’s much awaited 150th film’s shooting is progressing at a brisk pace under the direction of VV Vinayak. Since the announcement of this flick its title is heard as “Kathilantodu”, as it is the official remake of Tamil super hit film “Kathi”. 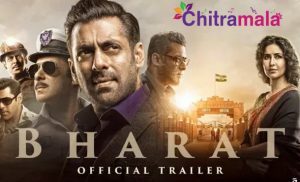 Chiranjeevi’s son hero Ram Charan, who is producing this flick, has denied these talks and said that the title is not yet confirmed. As for the latest updates, some of the photos of Chiranjeevi on the sets of his 150th film are gone viral, in which he is seen wearing a prisoner uniform. The interesting thing is the prisoner uniform has ‘No 150’ appearing on it, which in-turn created a lot of buzz. If the reports are to be believed, the makers are considering the title “Khaidi No 150” for this upcoming flick. 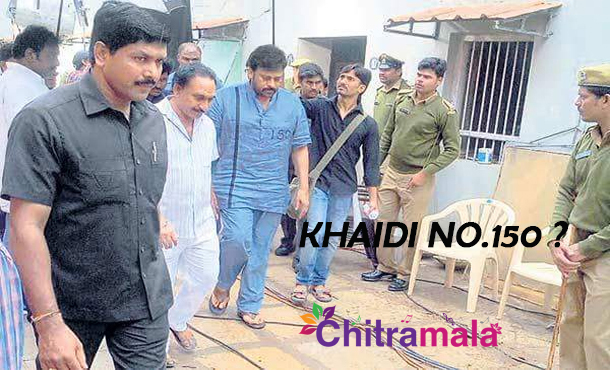 The word Khaidi is very lucky for Chiru, earlier his “Khaidi” and “Khaidi No 786” are big hits. An official confirmation is yet to be made.